Gather your ingredients and preheat oven to 400°F. 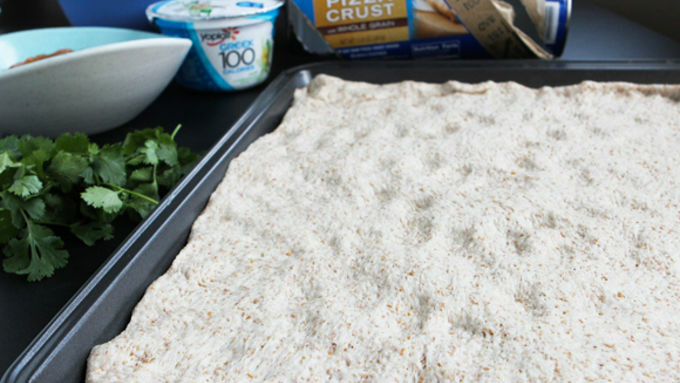 Unroll pizza crust onto a nonstick baking sheet. 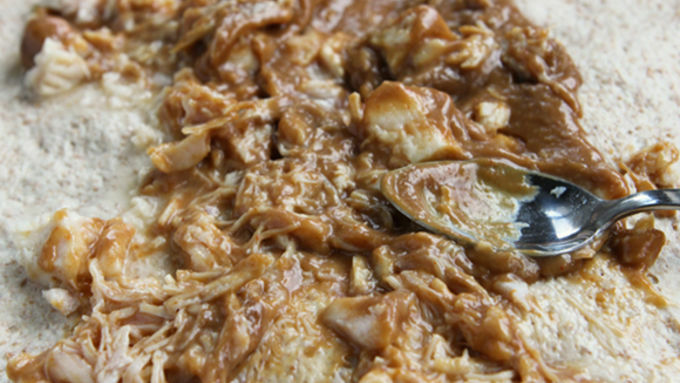 Mix peanut sauce, chicken, and garlic together. Spread over pizza crust. Top with peppers, bean sprouts (if using), and cheese. 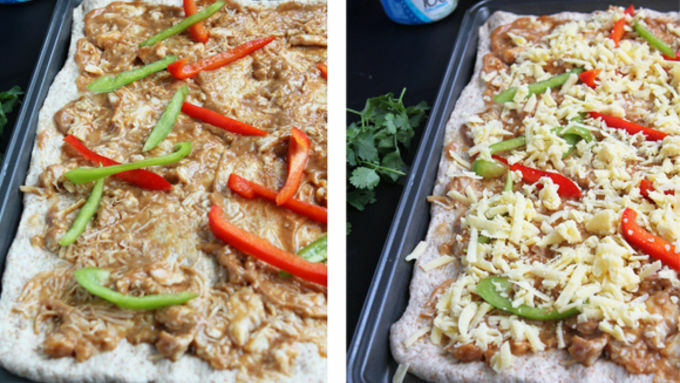 Bake in oven for 12-18 minutes, or until cheese is bubbly and edges of the crust are golden brown. 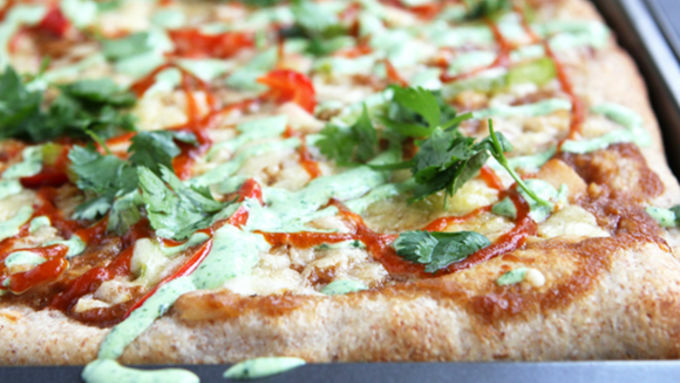 While the pizza cooks, combine 1/2 cup cilantro with yogurt in a food processor. Salt to taste. For extra flavor, squeeze a half a lime into the mixture. Transfer to a zip top bag. 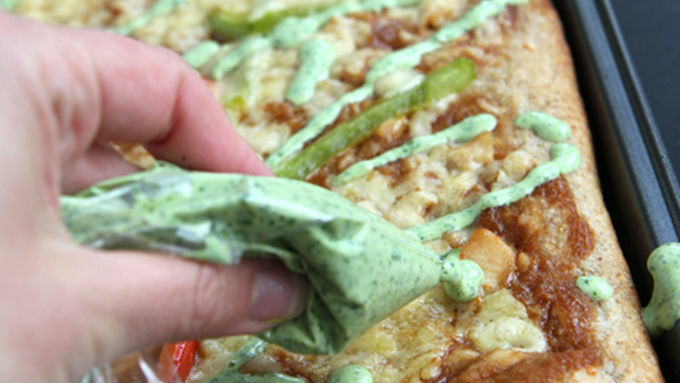 When the pizza is finished, drizzle cilantro-yogurt sauce over pizza. Garnish with fresh cilantro and chopped peanuts, if desired. 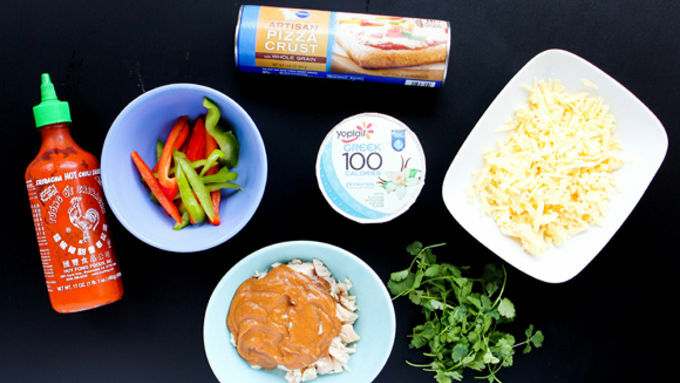 Give your pizza a bold, feisty taste with this simple, fresh take on your usual pizza pie. Toss it on the grill to keep your summer kitchen cool! Sometimes you need to ruffle up your routine. Nothing major, like switching jobs. 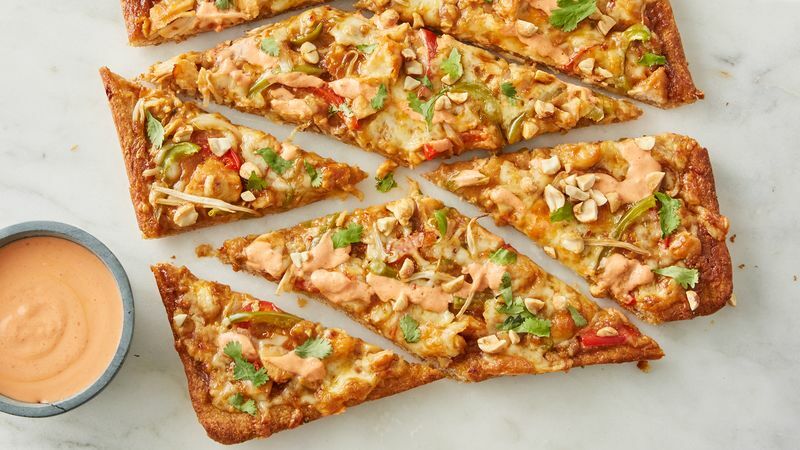 Just one little thing, like swapping out your plain cheese pizza for something a bit spicier, something that’ll put some pizzazz in your step. 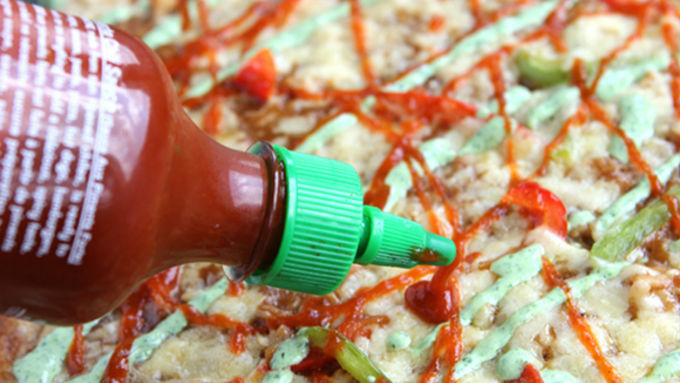 This Sriracha Thai Chicken Pizza is just the change you’ve been looking for. 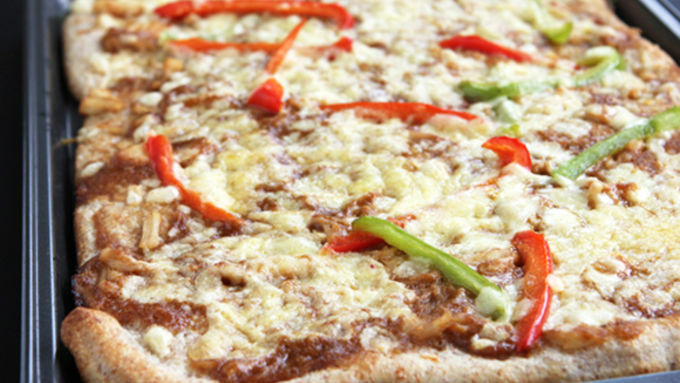 It is not your average pizza! Take a bite and enjoy. Change tastes good.